With a brand new or even used hot tub or spa at your Southern California home, you will enjoy the many benefits they have to offer. Sure, owning a hot tub or spa is a great way to entertain friends, improve your landscape and spend quality time with your family, but the health benefits are just as important. For example, soaking in your hot tub will alleviate stress and help you to relax, ensuring you remain a healthy and happy person. 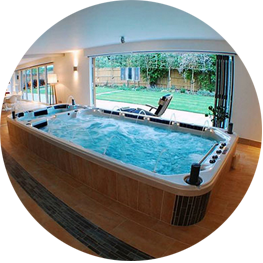 Think about it, owning a hot tub or spa is a great way to soothe and invigorate and there is no better way to spend time with friends and family. At the end of your busy work day, it isn’t really all about meetings and deadlines. And you can forget about that tangled mess of cars we refer to as the commute home. Let’s not forget about the dinner that needs to be prepared and the kitchen that needs to be cleaned. No, now it is all about you. You can spend your “you” time clicking aimlessly through channel after channel of television garbage or you can let the remnants of the day roll off your body while soaking in your very own hot tub. After all, the choice is yours. 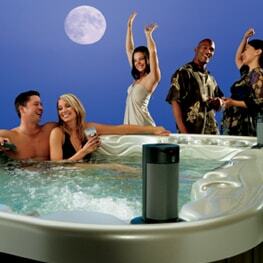 Create an oasis in your very own backyard with a swim spa or hot tub from Spa Max. A spa or hot tub from Spa Max will provide hours and hours of fun, recreation and relaxation all year round and in any climate. Don’t just think about owning a hot tub, live the dream right now. There is always a SALE going on here at Rick’s SPA MAX. Broken down into seven (7) categories for easy understanding. 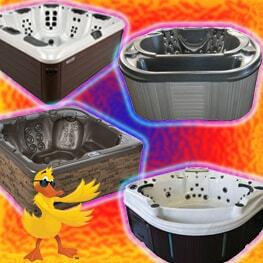 CLEARANCE SALE section of spas – This area of 20+ new hot tubs are spas that have been either discontinued from the manufacturer’s or will no longer be ordered by us as they are not popular sellers here. 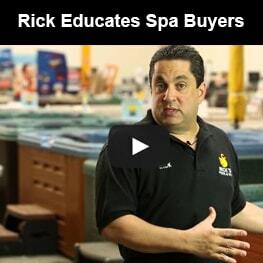 So, to make room for more popular selling spas I slash the prices to sell them, which makes them popular and they sell. RED TAG SALE – Also seen in Orange, Yellow and Pink. 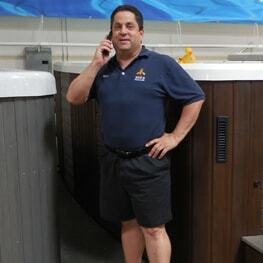 These spas just aren’t selling fast enough at their appraised values, mostly high end spas that are out of the comfort price range of most spa buyers, so I tag them at a much lower price to sell fast. 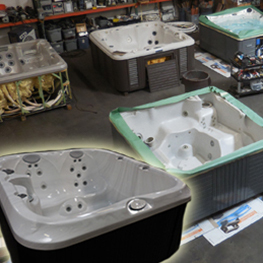 CAL SPAS & L.A. SPAS SPECIAL TAGS SALE- These new spas were bought in bulk at 20% and more OFF and the saving are passed directly on to you. They are all floor models shown here (over 60) and ready for immediate delivery. 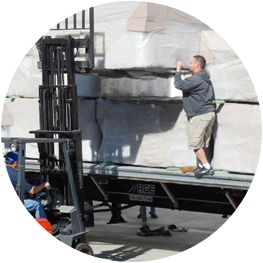 New truckloads arrive regularly. BLEMISH SPAS SALE– All brand-new spas from L.A. Spas and Signature spas including L.A. Spas, Vita Spas, Maax Spas, Dr. Wellness Spas, American Select Spas, Hudson Bay Spas, Rec factory Direct and of course actual Signature Spas. 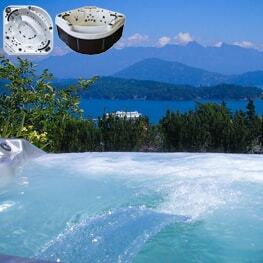 These spas have cosmetic blemishes and are bought by me from the factory at over 50% off new order spa prices. 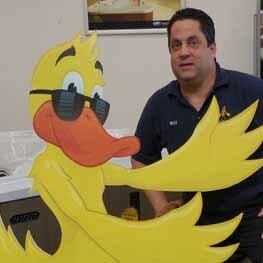 I get a truckload in about every four to six weeks, real sales. SIGNATURE SPAS NEW – IN STOCK SPECIALS SALE – Five models to choose from, two seven foot, two eight foot and one 8 x 10 foot. These are new spas bought in bulk, first quality, full warranty, available in three colors, must buy from IN STOCK list, ready for immediate delivery. 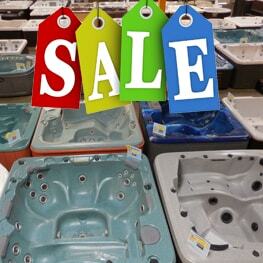 REFURBISHED SPAS SALE– Save 50% or more compared to new spa buys. Many also marked down further with red tag sale signs for further savings. EVERYDAY LOW PRICE – Technically not a sale like the first six mentioned above, but own a new spa at everyday low prices, order new, select your colors, options and style at a very fair price. I never simply put a spa on sale simply because I feel like making less money, that is crazy. There must be a real reason like listed above. I see spa sellers having what I think are fake sales all the time where they scream out everything is on sale! I see many listing unrealistically high “Normal” prices then slashing them huge to show you what a deal you are getting. Just beware and shop around, use common sense. If something sounds too good to be true, it usually is. 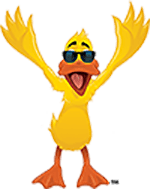 This is the largest selection of new and refurbished hot tubs anywhere in the country right here in your backyard, Corona off the 91 freeway between Lincoln and Maple.